Brexit is a topic I could not ignore, even in this Blog largely devoted to environmental issues. Newspapers often tend to simplify and polarize. Its ‘liberals versus conservatives’, 'high versus low income' or even: ‘young versus the old’. But Brexit is not that simple. From its early start the European Union (EU) was meant to be a cooperative organization based on solidarity to set up a better world, which of course also implied the national economies. An not to become a political system dominated by big countries in Europe. And certainly not leading to a ‘United States of Europe' or a Europe of the ‘Eurocrats’ (a term used by of the UKs former Prime Ministers). What about the environment? This argument was often used by British people who were against “OUT’. It is true that the European Union has set up a broad range of environmental legislation. As a result, air, water and soil pollution has to some extent been reduced. At some places such as in Greece illegal chemical dumps have been ended. But don’t expect too much from the EU’s role in ecology, because for the EU (and most of its member states) economy comes first. Environment is a fine issue to have on the agenda, but it should not interfere with the two major targets set by the member countries, namely increased profits from the industries and and large-scale agriculture. 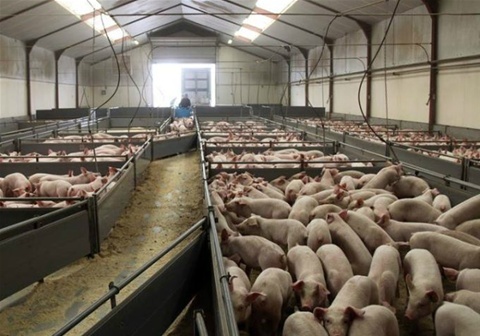 Bio-industry -implemented in most modern economies- has not only degraded the normal-life conditions of farm animals, but is also becoming a threath for the environment. Some examples. 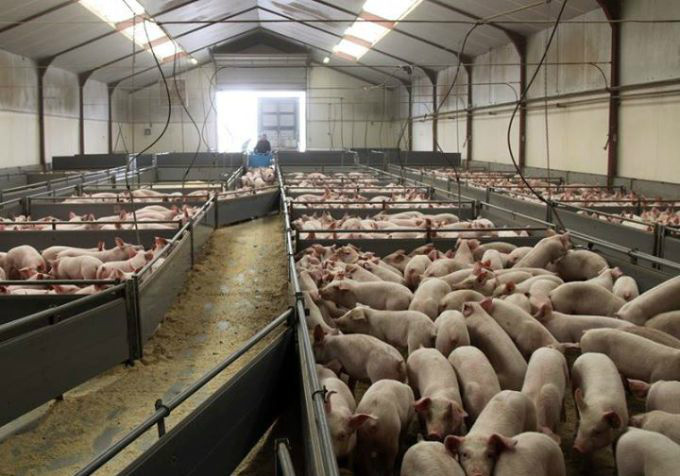 In Holland, for example EU regulations did not prevent the massive reorganization of cattle breeding and agriculture. Leading to immense pig stables were thousands of pigs are brought up in horrible crammed spaces (see picture for an example). And most Dutch cows, our national pride, are now deprived of their glorious and happy annual return from their winter stables to the rich and grassy meadows in springtime. Because they must produce more milk for more economical profit. Almost all meadows in Friesland in the North of Holland with their rich culture of grass and flowers have vanished. The grass is cut off and transformed into hay, fed to cows in their stables. The disastrous consequence: a dramatic loss of wild bird colonies that used to breed in the meadows. Like the godwits and lapwings, larks and many other. Neonicotinids, a class of neuro-active insecticides are still widely used in the agriculture industy. In Holland, France and in the UK, despite their disastrous effects on the populations of honeybees and butterflies, and the good intentions of groups and committees in defence of biodiversity. The European Commission recommended a restriction of their use across the European Union, but in 2013 only 15 of the 27 EU member states voted to restrict the use of three neonicotinoids for two years starting 1 December 2013. The UK also voted against a ban of this substance. To end; the ideals of the current Europe seem to have largely outgrown the primary ideals of a cooperative union of autonomous countries. A newer Europe should become more democratic and much less centralized. And last but not least. An important lesson from our history is that care for the environment is not a 'left wing' or a 'right wing' issue. In the two centuries that lie behind us 'smoking chimneys', a sign of an economically healthy industry, were not only considered a benifit for the ruling classes ('profit') but also for the working classes ('employment'). And its clear that even in our modern times protection of the environment remains secundary to economical priciples.